30 days to an organized house. Do one every day for a month. Follow me on Pinterest to see what I have pinned to help me do the 30 days below. 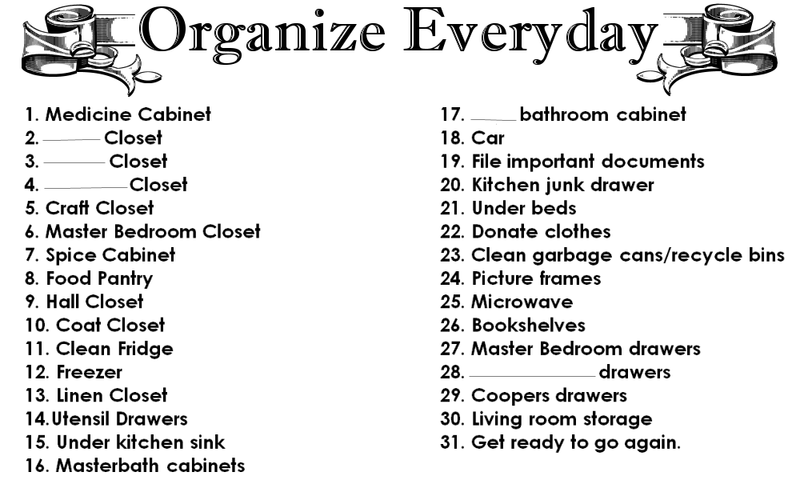 Here is a printable list for you. Sized for a 3x5 note card and small enough for your fridge that it won't look like a mess.